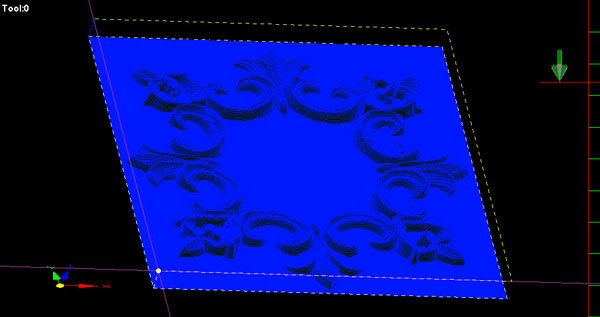 Mach1 Filter is a little known and often overlooked, stand-alone, application which can be used to create the necessary GCode tool-path for producing Lithophanes and 3D Relief’s. It was written a few years ago and is pretty basic (without all the bells and whistles often found in more up-to-date software) but it still does a good job, accepting HPGL, JPG & BMP format images. As with most software, to obtain the best results, a little practice is required to judge the correct brightness / contrast / sharpness for the original image but it is quickly mastered. Just as an example, this is typical of the tool-path that can be created with Mach1 Filter from the depth map (BMP file) included with one of the latest relief downloads.